MEI's recent Energy Futures seminar provided a forum to discuss the ACCC report, which found that the national electricity market has failed consumers, is largely broken and needs to be reset. 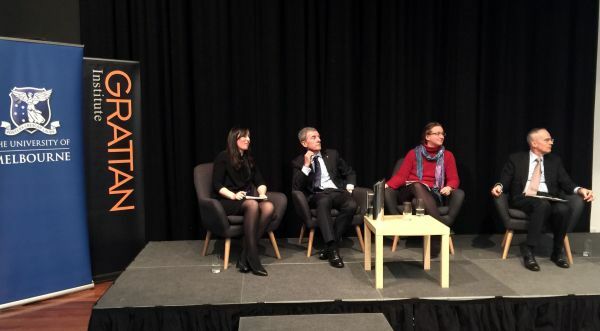 Held at The University of Melbourne on July 24th, the seminar provided a platform for debate and discussion around the key changes needed to create an affordable electricity future in Australia. Speakers and panelists included ACCC Chair Rod Sims, Grattan Institute’s Tony Wood and Dr Leslie Martin from The University of Melbourne's Department of Economics and the Centre for Market Design. The seminar was opened by Pierluigi Mancarella, Chair Professor of Electrical Power Systems at The University of Melbourne, and moderated by Emma Richardson, Economist and Manager at Deloitte Access Economics.